DALLAS A Texas megachurch linked to at least 21 measles cases has been trying to contain the outbreak by hosting vaccination clinics, officials said Monday. The outbreak started when a person who contracted measles overseas visited Eagle Mountain International Church in Newark, located about 20 miles north of Fort Worth, Texas. Officials with area health departments said those affected by the outbreak range in age from 4-months to 44-years-old. All of the school-aged children with measles were homeschooled, and majority of those who were infected had not been vaccinated. In a recent sermon posted online, senior pastor Terri Pearsons encouraged those who haven't been vaccinated to do so, adding that the Old Testament is "full of precautionary measures." "I would encourage you to do that. There's absolutely nothing wrong with doing that. Go do it. Go do it. Go do it. And go in faith," said Pearsons, whose father is televangelist Kenneth Copeland. She added: "If you are somebody and you know that you know that you know that you've got this covered in your household by faith and it crosses your heart of faith then don't go do it." "The main thing is stay in faith no matter what you do." In Tarrant County, where the church is located, 11 of the 16 people with measles were not vaccinated while the others may have had at least one measles vaccination but there is official documentation to verify that. In nearby Denton County, none of their five cases had been vaccinated. Texas Department of State Health Services spokeswoman Christine Mann said that so far across the state there have been 27 cases of the measles this year, with five of those cases having no links to current outbreak. She said it is unclear whether a case recently diagnosed in Harris County, where Houston is located, is tied to the outbreak. There were no cases in the state last year and six the year before. "If it finds a pocket of people who are unimmunized, and the majority of our cases are unimmunized so far, then if you are around a person with measles, you will get sick," said Russell Jones, chief epidemiologist for Tarrant County Public Health. Measles is spread by coughing, sneezing and close personal contact with infected people; symptoms include a fever, cough, and a rash on the face. 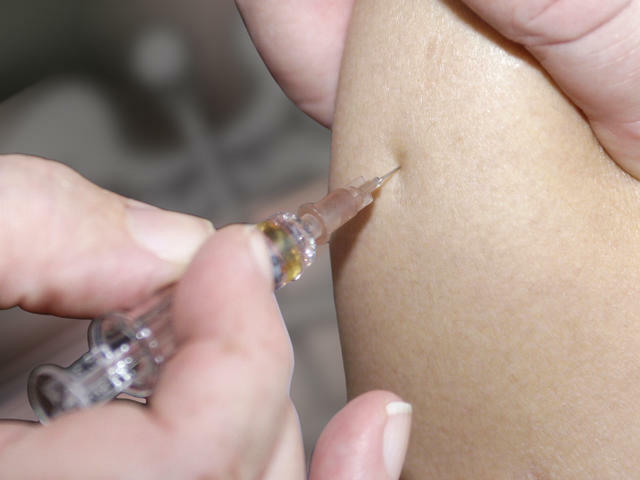 The Centers for Disease Control and Prevention recommends that children get two doses of the combined vaccine for measles, mumps and rubella, called the MMR. The first does should be when they are 12 to 15 months old and the second when they are 4 to 6 years old. Vaccination opt-out rates nationwide have been creeping up since the mid-2000s, spurred in part by the belief the battery of vaccinations routinely given to infants could lead to autism despite scientific evidence to the contrary and the debunking of one of the most publicized studies that first fueled vaccine fears years ago. Pearsons' father is a pioneer of the prosperity gospel, which holds that believers are destined to flourish spiritually, physically and financially  and share the wealth with others. He has built a vast ministry with a worldwide reach. Eagle Mountain International Church is located on the grounds as the Kenneth Copeland Ministries. Robert Hayes, risk manager with Kenneth Copeland Ministries, said they have held several vaccination clinics since the outbreak. He said that the church has never advised against adults or children getting immunized for measles or seeking medical care. A statement from the organization said their position regarding any medical condition is to "first seek the wisdom of God, His Word, and appropriate medical attention from a professional that you know and trust." Hayes did not know why some people had not immunized their children. "Some had for whatever reason chosen not to. Some depending on the age of their child were advised by their physician to wait until the child was a certain number of years old. I don't get a sense for why after that they did not," he said. He said if people are still choosing to not be immunized and they've been exposed to the measles they are being asked to isolate themselves until it is clear they are not infected. The incubation period for measles is about two weeks from exposure to fever. People are contagious from four days before getting the rash to four days before breaking out in a measles rash.